To rehash an older point(Posting "Community Promotion" onto other SE sites), I want to encourage people to vote on Chem SE community ads on other Stack sites. We currently have ads posted to Biology, Physics, and Academia. I think these sites have the most overlap with ours and we would benefit from attracting users from these sites. Feel free to suggest any other sites that might be good to post the ad or any changes to the ad itself. Please use the version with the correct size as it is given in the linked thread. 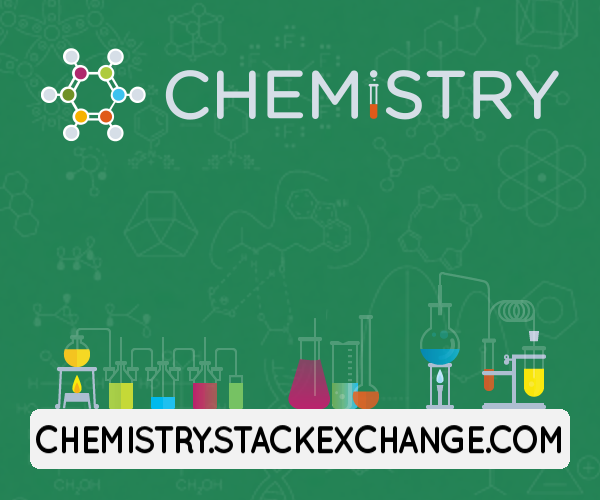 Chemistry's updated site theme is ready for testing!